Margam Madhusudhan is currently working as an Associate Professor & Project Investigator in the Department of Library and Information Science, University of Delhi, India. He has 16 years of teaching, administration and research experience at the university level. 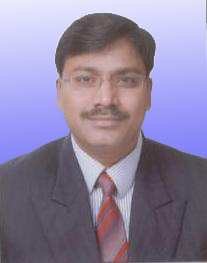 He has worked as Deputy Dean Academics (on deputation), University of Delhi from May 2013 to September 2015. Prior to this, he has worked as Lecturer at the Goa University, Goa from 1999 to 2003. He carries with him a rich experience and expertise of having worked in a managerial capacity and has taught in many prestigious institutions across India. He obtained his Master of Commerce (M.Com), Master of Library and Information Science (MLIS), Post Graduate Diploma in Library and Automation and Networking (PGDLAN). He has completed PhD in Library and Information Science in 2004 from Osmania University, Hyderabad. Dr. Madhusudhan has been awarded the status of "International Accreditation Organization (USA)-Certified Faculty Member". He has published 1 book,2 edited books, 35 international research articles in peer-reviewed journals, 20 chapters in books, 9 articles in national journals and 5 international conference papers. His current research interests include designing and evaluation of websites, e-resources, evaluation of Web-OPACs, information and communication technology applications in libraries, mobile technologies, etc. He is also editor of two Indian LIS Journals and reviewer of many International LIS Journals. He may be contacted on phone: 09911817540 and through email at: mmadhusudhan@libinfosci.du.ac.in; madhumargam@gmail.com.